7 Amazing Unique Place In the World - The beauty of nature in the world is very diverse. Some of them look amazing, like being in a fairy tale world. Like some unique places in the world below, a nature tour that can't even be found elsewhere, because it's so beautiful. Get ready to enter the following tours in your vacation waiting list. This place will make you feel as if the sky and plains are united. 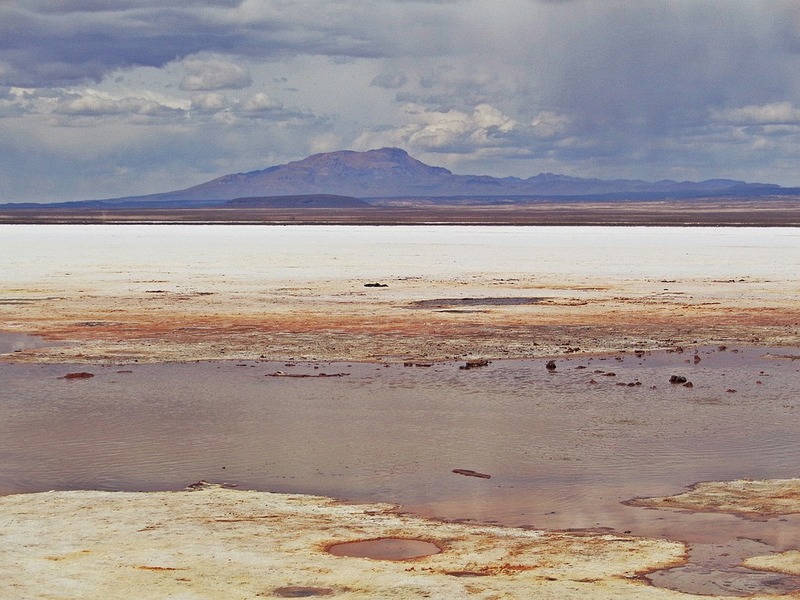 Salar de Uyuni is the largest salt plateau in the world covering 10,000 kilometers. 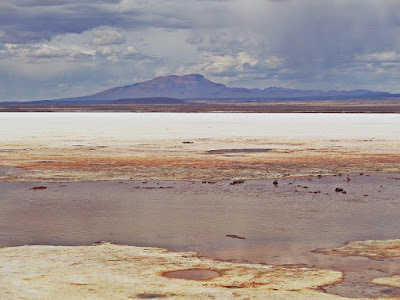 Salar de Uyuni is located between Potosi and Oruro, near the top of the Andes Mountains, Bolivia. Its surface is covered with a layer of salt, making this plain dry throughout the year. The Painted Dunes are a colorful stretch of pumice formed from the oxidation of volcanic ash falling from a volcanic eruption. The Painted Dunes are located inside Lassen National Park in Northern California. There is a special path that has been provided to see the scenery like a painting from volcanic activity. It's like life in space! Goa is not always dark and creepy. Glowworm Cave in Waitomo is very beautiful with a variety of stalactites and glowing like stars in the sky. The sparkling star comes from a worm with the Latin name arachnocampa luminosa. In the dark, this animal will emit green and blue light. White sand beaches may be very commonplace, but it is different from the beach scenery in the Liaohe River delta, China. The beach is red due to sea-blite grass. This beach looks very red only in autumn. At that time, the grass that was originally green turned red. This place can be regarded as one of the hottest places in the world with a temperature of 41.1 degrees Celsius. Dallol is the most remote place on Earth in northern Ethiopia. Dallol is the lowest volcano in the world. Even so, Dallol is famous for bright colors that appear around the place that come from sulfur, iron, salt and other mineral substances. Grand Prismatic Spring is in Yellowstone National Park. This place is the largest hot spring in the United States and the third largest in the world. If you pay close attention, the water is colored like a rainbow. Namely red, orange, yellow, green, and blue. Not all can be used for bathing. Because, some pools of water are very hot, so they can melt anything. Ijen Mountain is indeed very charming with all the unique craters and blue fires. The place is on the border between Banyuwangi Regency and Bondowoso Regency, East Java. You can see the blue fire phenomenon every day around 2:00 to 4:00 in the morning. In addition, the Ijen crater lake is known as the largest acidic lake in the world, with a crater area reaching 5,466 hectares. That's the seventh coolest and anti-mainstream tourist attraction in the world. If you can't go overseas, at least you should try to enjoy the sensation of blue fire on Mount Ijen.